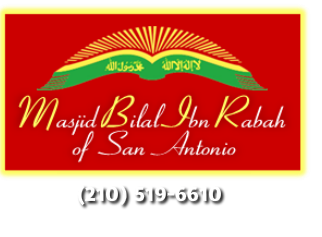 The purpose and aim of MBIR of San Antonio, Texas is to be a fully functioning Islamic religious institution, a model community, in order to serve the needs of its members in the fullest sense, not leaving anything of value out. Its teachings are based on the Qur'an, sound traditions and the life example of Prophet Muhammad (Peace and blessings be upon him), and the tafsir (commentary) of Imam W. Deen Mohammed, son of the Honorable Elijah Mohammed. Muslim Journal available at Jum'ah.